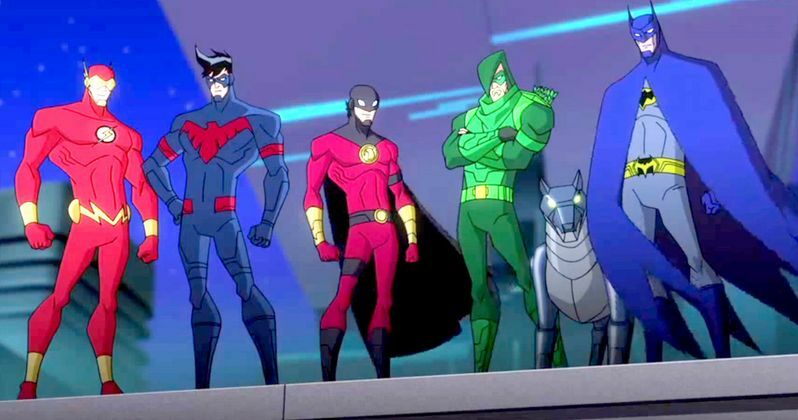 Batman Unlimited: Animal Instincts Trailer Has Arrived! When Gotham City is plagued by a slew of bizarre crimes committed by the animal-inspired villain squad, known as the Animilitia -- made up of Silverback, Cheetah, Killer Croc and Man-Bat -- Batman must swing into action to investigate. These animalistic villains bring new and exciting challenges for Batman, who must find a way to bring these criminal creatures to justice! But could the Animilitia be working for powerful businessman Oswald Cobblepot a.k.a. The Penguin? In the end, it'll take the combined forces of Batman, Flash, Green Arrow, Nightwing and Red Robin to fight off these Animal Instincts. The voice cast members have not been announced yet, but we should learn much more about this animated adventure between now and the movie's May 12 release. While we wait for more details to be released, take a look at the first trailer for Batman Unlimited: Animal Instincts. Are you excited for a new series of Batman Unlimited animated movies? Let us know what you think.